Thinking about giving up your U.S. citizenship pending the results of the presidential election in November? Concerned because you have been an “expat” for a long time and have not filed U.S. tax returns? Just realized that you might be an “accidental” U.S. citizen? These are legitimate questions being raised by the millions of current U.S. expats, those U.S. citizens and/or U.S. permanent residents about to “expat,” or those thinking about renouncing their U.S. citizenship. “Expat” and “expatriation” are two terms that sound similar. They are not the same. Expats are U.S. citizens living abroad who decide to move to other jurisdictions to either enhance their careers by completing an international assignment, travel and explore or retire. “Expatriation” is more of a legal term as it means to officially renounce (give up) citizenship. The IRS will not make things easy for U.S. taxpayers regardless of who wins the elections in November 2016. The U.S. Department of State now estimates that there are close to 9 million U.S. expats living worldwide. U.S. taxpayers living overseas have become “financial pariahs” where they live because of their high account servicing costs for local banks (foreign financial institutions – also known as FFIs) caused by the requirements of the Foreign Account Tax Compliance Act, or FATCA. FFIs will not open bank accounts for U.S. citizens and/or U.S. permanent residents without a W-9 or other pertinent tax documentation. For expats, there is complicated paperwork, cumbersome processes and of course, the question of fairness. Is it fair that U.S. citizens and/or U.S. permanent residents are taxed on the concept of citizenship and worldwide income as opposed to where they reside and pay taxes? 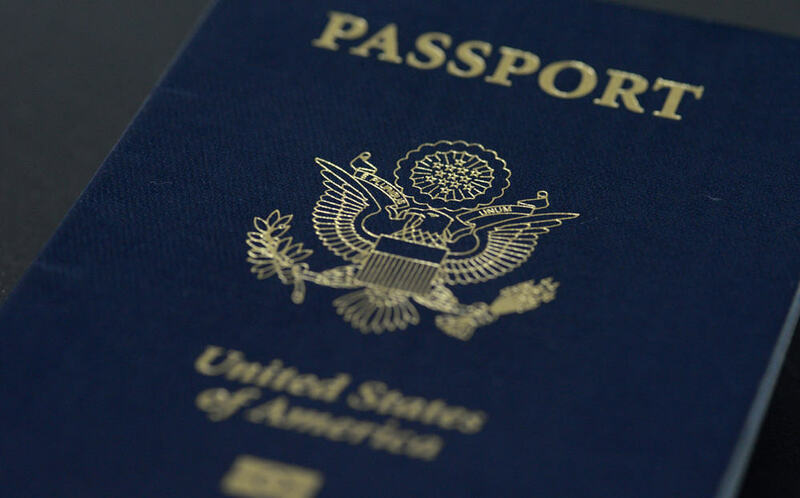 The controversy that U.S. citizens and/or U.S. permanent residents are taxed on their worldwide income, as opposed to where they reside and pay taxes, is driving a number of U.S. citizens and/or U.S. permanent residents to re-think their citizenship status. There are also U.S. citizens who have resided outside of the U.S. for many years, are compliant with their local tax authorities, and feel that they are under threat by the IRS despite the reality that they are non-compliant expats. There are also many expats who have made the decision to stay non-compliant. “Accidental” U.S. citizens are those who were born in the U.S. but haven’t lived in the U.S. since infancy, and, or have a U.S. parent. A perfect example of an “accidental” U.S. citizen is the ex-mayor of London – Boris Johnson. He sold a London property that had substantially appreciated in value, and was stuck with a tax bill from the IRS. Johnson (born in the U.S. and left at the age of 5) was considered a U.S. taxpayer by the IRS due to the fact that he was born in the U.S. When an expat individual does not want to file a federal tax return again, he or she has to renounce U.S. citizenship (expatriate). Individuals who renounce U.S. citizenship are required to demonstrate to the IRS that they have satisfied all federal tax requirements for the five years prior to expatriation. A person is considered a U.S. citizen until the date the U.S. Department of State issues to the individual a certificate of loss of nationality. The process of expatriation is costly and complex. Besides possibly paying five years of back taxes, there could be an “exit” tax involved, as well as the requirement of going through the process of getting an appointment at a U.S. consulate office to formally give up citizenship. FATCA. FFIs will report all their U.S. taxpayer account holders to the IRS for the second time in 2016. IRS has stated that individuals can’t live without bank accounts, so FATCA will lead to tax compliance and IRS inquiries. Filing tax returns. In order to use the benefits of the Foreign Earned Income Exclusion or Foreign Tax Credit, taxpayers must file their tax returns. Leaving money on the table. The taxpayer might be entitled to a tax refund. Having your passport cancelled. The U.S. State Department has the authority to cancel passports if there are IRS tax delinquencies greater than $50,000, a tax lien has been filed and an IRS accepted payment plan is not in existence. Not taking advantage of amnesty programs. The Offshore Voluntary Disclosure Program and the Streamlined Filing Compliance Procedures are available now to help non-compliant U.S. Taxpayers come into compliance. Don’t be a victim of your own making. Although expatriation is the permanent way to avoid the IRS, the process is costly, cumbersome and lengthy. Moreover, the Common Reporting Standard (CRS), coming into effect in 2017, will ensure tax transparency across jurisdictions or residencies, as opposed to citizenship. The end of bank secrecy is here. Stanley Foodman is CEO of Foodman CPAs & Advisors in Miami, and a recognized forensic accountant and litigation support practitioner specializing in complex international and domestic tax matters. Read his bio here. Learn more at: www.foodmanpa.com.